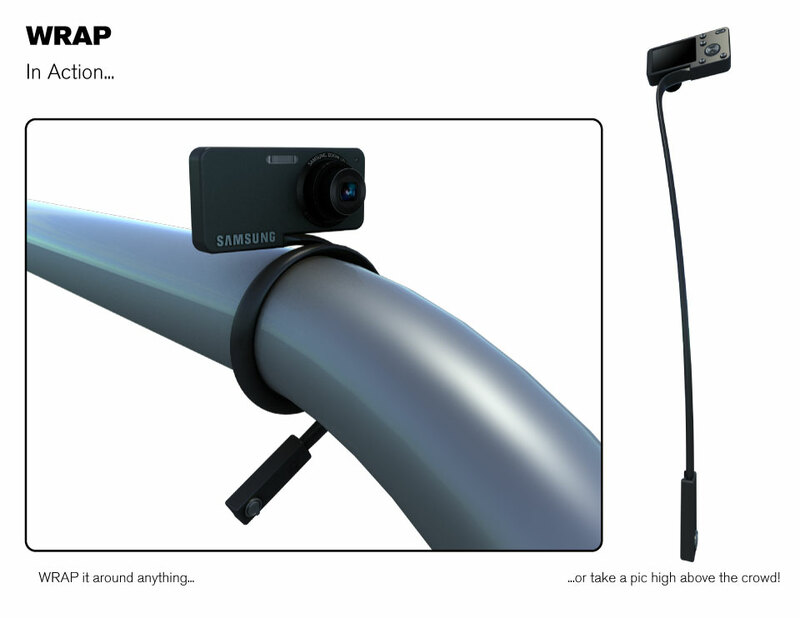 The WRAP camera concept opens up a new world of photo opportunities with a flexible support system that is both simple and adaptable. 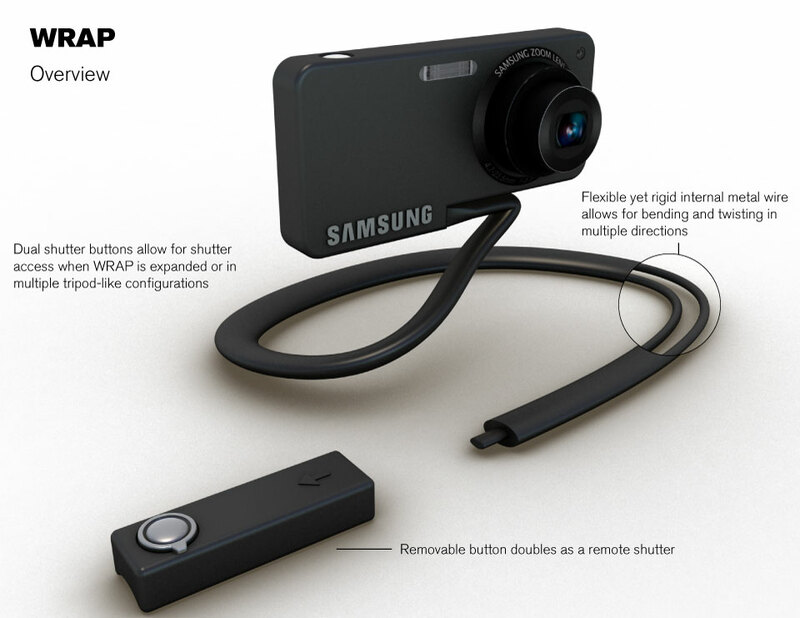 WRAP can be attached to just about anything using an magnetic wire that can bend, twist, and extend to support the camera on any surface. 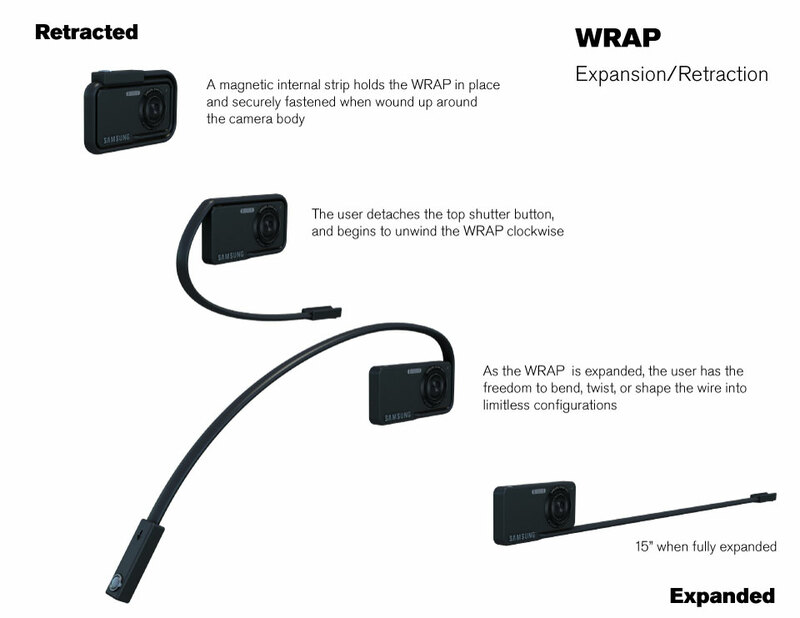 Users will enjoy discovering new and innovative ways to use their WRAP camera, a design made even more flexible by the addition of a removable shutter button that can be fired remotely- for the perfect self shot out in the woods or group portrait without the pressure of the timer. Using the WRAP camera is intuitive and straightforward. When retracted, thecamera maintains the compact form and control interface that users have cometo expect in a point-and-shoot model. To mount the camera on an uneven surface, the user extends a 15” magnetic wrap that can be bent into a stand, fastened around poles or railings, or securely attached to metal surfaces. After shooting, the wrap is easily folded into its original shape and magnetically held in place. WRAP was inspired by the adjustability and effectiveness of desk lamps, booklights, magnifying glasses, bendy straws, and other products that have flexible components strong enough to maintain a user-defined shape. It captures the functionality of a magnetic Joby Gorillapod leg, while doubling as a protective bumper for the camera when not in use. 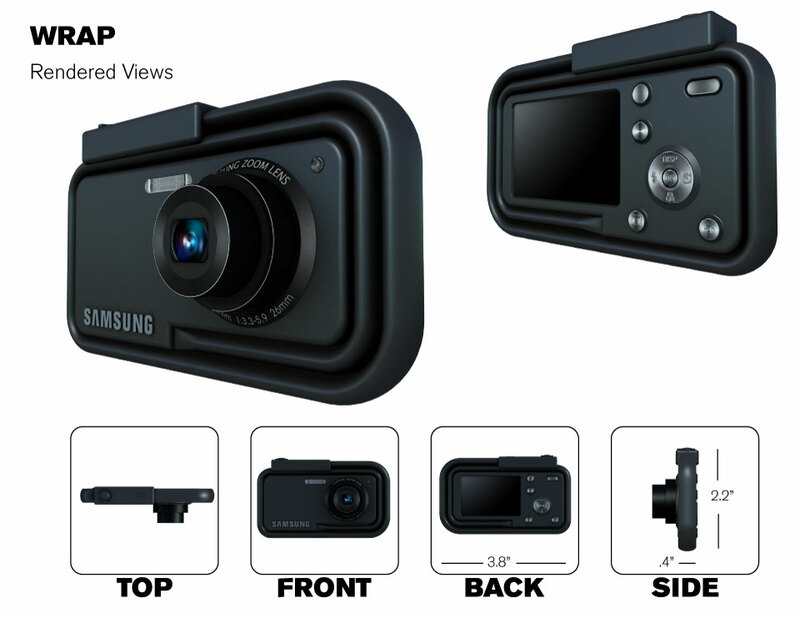 Most enticing, however, is that the WRAP camera is simple, easily engineered, and avoids significant modification to existing camera features and components.